Salesforce Pardot is a member of the ABM Leadership Alliance, which is a group of experts who provide B2B marketers with guidance and oversight on how to leverage technology to create a high performing ABM strategy. The majority of marketers are well beyond the point of asking what ABM is and why they should care about it. The questions marketers are asking today are how do you get started with ABM and what is required for driving successful outcomes? Measurement — how will you prove the success of ABM if you can’t tell whether it’s working? Before you roll out an ABM program, book a meeting to get together with your sales team and emphasize the benefits of your program. ABM takes time and effort, but the results are substantial. Early adopters are reaping the rewards, including faster business acquisition, successful expansion into existing accounts, smarter marketing spend and customers who feel understood. The bottom line is ABM can be responsible for considerable business growth. In order for sales and marketing to drive growth, sales must sit as an equal partner at the table in the ABM conversation. Put into practice, an equal partnership means deciding upfront as a team, where marketing and sales should each focus their efforts. Additionally, it means providing sales with information they can act on, including which leads and accounts are the most engaged, so that sales reps are able to schedule regular check-ins with the marketing team to assess the program results and where to go from there. A clearly defined data strategy goes hand in hand with the right ABM technology to scale personalization. At the heart of an effective ABM program is data, and marketers need to look closely at the data they have and where it all lives before getting started. While you may be ready to get started with ABM, you may have a fragmented tech stack that tells a different story. Company data is often splintered between different tools — sales teams access data within a CRM system, while marketing teams use a marketing automation system. This poses massive problems. If your data is not connected in any way between different teams, you’ll be building an ABM strategy on a fragile foundation. To circle back to the first point around alignment between sales and marketing, data should be a single source of truth that everyone can use to collectively agree upon the focus efforts for the ABM program. Otherwise, you’ll be spending time arguing with sales about whose data is right and whose is wrong instead of looking forward, which is tantamount to failure at the outset. I hear many people say that they’ve taken steps to ensure they have alignment between sales and marketing and the right technology in place to work from a single source of data truth for their ABM program, but they can’t tell if it’s working. You’ll need to measure early- to late-stage program activity to know what is creating an impact. The key is not to replace existing metrics in your marketing program, but to establish an additional set of metrics that will show you the difference in effectiveness of ABM compared to your traditional strategies. By selecting the right KPIs — quality-based engagement for ABM and quantity-based for broad marketing campaigns — you’ll be able to prove how ABM is the right strategy for reaching target accounts. The success of any strategy is dependent upon your ability to execute on it. Tools and technology help, but do not result in successful ABM outcomes alone. That task rests on the shoulders of the marketing team. The trick is not allowing yourself to get tripped up before you even begin with ABM, but instead ensuring you lay strong foundations before rolling out a program. 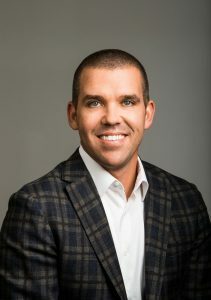 My best advice is to focus on the three-point strategy discussed above: consider the activation of sales early and often, de-silo data to establish a single source of truth and identify what the right, quality-based KPIs will be to measure and prove the immediate impact of your well-rounded ABM program. Getting ABM right from the start takes time and effort, but the impact to your business will be well worthwhile. With more than 20 years of experience in driving marketing programs for B2B companies, Nate Skinner is the VP of Product Marketing at Salesforce, where he leads marketing strategy and execution for Pardot. He currently lives in Atlanta, loves all things American History and spending time with his three kids.